The Seven-colored Demonic Flower was the factor for Yang Tian Emperor's recovery. It was also his primary goal when Shi Yan came to this ancient continent. This kind of demonic flower was able to wash the Soul Rotting Aphis in Yang Tian Emperor's head. When he heard that Mia kept the flower, he had made up his mind. 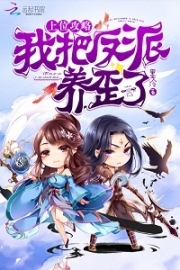 Inside the wet swamp, Shi Yan and Shang Ying Yue concealed their auras, trolling like two departed spirits towards Bai Hao and Mia. Shi Yan frowned, his face severe. From Shang Ying Yue, he knew more information about this universe. Different from Fiery Rain Star Area and Agate Star Area, Fantasy Mist Star Area was one of the strongest star areas in this vast universe. At the same time, this star area had the most prominent feature; Fantasy Mist Star Area wasn't a closed galaxy. Agate Star Area and Fiery Rain Star Area were high-level star areas with intimidating Incipient G.o.d Realm experts with generally outstanding competences. However, due to some reasons, there were s.p.a.ce barriers between those star areas. Most of the s.p.a.ce pa.s.sages that connected to the other star areas were blocked. The forces of the two star areas had proactively cut off the connection to the outer world. They produced the goods they needed to shut themselves. Since they didn't have many connections with the outer world, they didn't know much of the vast universe and the intimidation of the G.o.d Clan. Just like that, the other significant star areas didn't have a high evaluation of Fiery Rain Star Area and Agate Star Area. They thought that the others were a bunch of freaks who didn't understand how to develop the star area. But this Fantasy Mist Area was different. This star area wasn't closed. It had a close connection to the other big star areas as it had many routes and pa.s.sages leading to different galaxies. There was no s.p.a.ce barrier between this star area and the others. —— They did it on purpose. Fantasy Mist Star Area was the real door that opened to the immense sea of stars. Thus, Shang Ying Yue's understanding of outer s.p.a.ce and the other powerful forces everywhere wasn't something that Shi Yan could imagine or compare to. 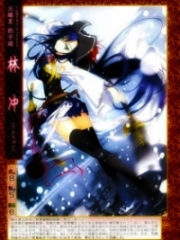 Through her introduction, Shi Yan's knowledge of the top powerful forces in this universe gradually gt clearer. The truth wasn't so much different from what he had known. Ancient G.o.d Star Area where the G.o.d Clan stayed was no doubt the strongest star area in this universe. The G.o.d Clan was also the strongest force. They were the immemorial beast that crouched in the universe and could bite any prey it considered suitable at a favorable moment. The twelve great families of the G.o.d Clan had ruled some smaller star areas. Each family had many experts like clouds in the sky. The G.o.d Clan was formed by the twelve great families, which was like a horde of bloodthirsty lions always trying to showcase their invading instinct. The G.o.d Clan was so mighty and Ancient G.o.d Star Area was acknowledged as the strongest star area in the universe. They ruled forces from everywhere. Although the G.o.d Clan and their Ancient G.o.d Star Area was dominant and ranked first, they hadn't really claimed the entire universe. There were still some smaller star areas and forces that the G.o.d Clan didn't dare to provoke or declare war with. There were some star areas, some forces, and some solid experts in this vast universe. Due to the existence of such forces and star areas, the G.o.d Clan couldn't invade most of the star areas in the vast sea of stars and turn them into its private territory to make many clans and forces its va.s.sals. Hollow Fearsome Star Area, Fantasy Mist Star Area, and Dry Bone Star Area were some examples. These star areas had super powerful forces with peerless warriors. Although one force of them couldn't resist the entire G.o.d Clan, it was enough to withstand one or more families of the G.o.d Clan. Usually, if it was not a disaster that could destroy their clan, the twelve families of the G.o.d Clan didn't really unite. Thus, Hollow Fearsome Star Area, Fantasy Mist Star Area, and Dry Bone Star Area had a slot in this immense sea of stars. If the influential star areas like Hollow Fearsome Star Area, Fantasy Mist Star Area, and Dry Bone Star Area with some other star areas could stand still in the flood of G.o.d Clan's invasion, it meant that they were brutal and powerful enough. They didn't shut themselves out. Those star areas connected to each other and they exchanged things. Sometimes, they would create chances for warriors to discuss their powers and competencies. They were like allies of the same star areas. However, this kind of ally wasn't officially defined. They wouldn't always get along well. Sometimes, they would have disputes, which could even accelerate to a war. However, once the G.o.d Clan dared to let its mental problem expand to these areas and affect their benefits, those allies would unite. The union of powerful star areas from everywhere in the vast universe could resist the entire G.o.d Clan. Thus, they could restrict the G.o.d Clan and make them invade star areas that aren't in the union. Since Fiery Rain Star Area and Agate Star Area had defended themselves alone for so many years, they weren't members of this union. Also, as they didn't receive any help or protection, they were the delicious meat in the G.o.d Clan's eyes. Of course, the G.o.d Clan would spend their best efforts to swallow them. 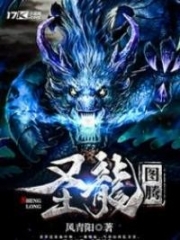 Gu G.o.d Sect of Hollow Fearsome Star Area, the Bai family of Dry Bone Star Area, the Wu family of Prosaic Star Area, and the Drifting Fire of Fantasy Mist Star Area were some of the famous, dominating forces in this vast universe besides the G.o.d Clan. Those forces were loose in the union. They had secret disputes and compet.i.tions. Perhaps they had caused grudges. When the G.o.d Clan wasn't a threat to them, they would have a lot of battles. But if the G.o.d Clan invaded one of these star areas, they would unite to counter it. Of course, after several fierce wars with the G.o.d Clan for thousands of years, G.o.d Clan didn't show any intent to invade any of those allies anymore. Since they didn't have a common enemy, the allies in this loose union had been continuously fighting each other, which accelerated after many years and got more furious. The war between the Drifting Fire of Fantasy Mist Star Area and the Bai family of Dry Bone Star Area became so fierce that their core experts were killed. Shang Ying Yue's grandfather was one of the leaders of the Drifting Fire. He was killed in the fight against the Bai family. This kind of grudge would never be untied. "Lately, the Bai family seems to join hands with the G.o.d Clan. We received intelligence. The battleships of Ancient G.o.d Star Area and Dry Bone Star Area have done business. We believe they should have some agreement with the G.o.d Clan. Since we found something unusual in their operation, the Bai family has aimed at us. My grandfather's death is somehow related to a family of the G.o.d Clan." Shang Ying Yue said through her gritted teeth. "Doesn't your union consider the G.o.d Clan your enemy? Why does the Bai family have a connection with the G.o.d Clan?" Shi Yan was surprised. "The G.o.d Clan is too powerful. At the same time, they are good at enticing people. They've offered the temptation that the Bai family couldn't resist. Perhaps the Bai family couldn't stand their desires, so they shook hands with the G.o.d Clan." Shang Ying Yue frowned and said, "For example, the G.o.d Clan could invite the Bai family to attack a star area together. After they have taken that area down, the Bai family could share all the benefits with the G.o.d Clan. The Bai family couldn't resist such a deal. Once they go on the same road as the G.o.d Clan, slowly, they will become the G.o.d Clan's henchmen. They will never escape. G.o.d Clan has many tricks to recruits strong clans and forces. Take the Dark Shadow Clan for example. That clan was really strong. However, they have become the watchdog of the G.o.d Clan. I still have many examples of you want to hear..."
The more he understood the general picture of the universe, the more he knew about the G.o.d Clan's intimidation. The G.o.d Clan had spread their forces to the entire universe like long tentacles tying down each star area in this vast universe that slowly pulled them into its hands. If it kept going at this invasion speed, the forces that didn't belong to this union would become the va.s.sals of the G.o.d Clan soon. Sooner or later, even that loose star area union would be divided. G.o.d Clan would swallow its members, one by one. This G.o.d Clan was like a bloodthirsty beast with endless desires. It wanted this entire universe. "You say the Bai family and the G.o.d Clan have joined hands?" asked Shi Yan. Shang Ying Yue nodded. "My father has a precise presumption. He said that the Bai family and the G.o.d Clan has been plotting against a star area called Agate Star Area. It's my father's homeland. The Bai family and the G.o.d Clan already have a plan. They will deploy their armies together. They even have a plan to divide that star area..."
Shi Yan had a dark face. "I'm from Agate Star Area." Shang Ying Yue was surprised. She said faintly, "What a coincidence!" Shi Yan didn't say more. He silently let his co-soul flow up and observed the surroundings like the Eye of Heaven. Shi Yan knew the direction of Bai Hao and Mia. His co-soul could recognize their location and direction easily. The different talents were all ineffective in this ancient continent like open eyes of the blind. Although the Soul Consciousness couldn't sense around, since Shi Yan's co-soul had the same origin as this ancient continent, he wasn't bound to this strict restriction. He could still sense the surroundings precisely. They were waiting for a good chance to attack the others. As they weren't the opponents of that ground of five, they had to follow them closely and quietly. However, they hadn't attacked yet. All of a sudden, Shi Yan furrowed his brows and halted. Shang Ying Yue's graceful body also stopped. She swayed her delicate waist and turned around to look at him, her beautiful eyes confused. Bai Hao's group and Mia were heading to the big hole that Shi Yan had dug up with his power where he saw a faint blue light that had sent a vibe to the star in his Ethereal Extent. It was possibly something precious. At this moment, Bai Hao and Mia seemed to have discovered something. They stood there silently. "Are you going to take action now?" Shang Ying Yue exhaled quietly and asked, "If you're not sure, you shouldn't act rashly. If the five of them don't scatter, we won't be able to fight them." Shi Yan nodded. He suddenly sat down cross-legged on the wet, muddy ground. He squinted and didn't say a word. 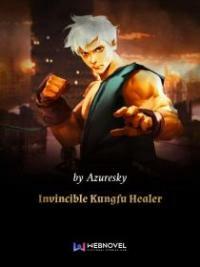 His co-soul flickered like a ghost flame, releasing the clear soul energy fluctuation. After a long time, Shi Yan's eyes flared with the frightening cold light. "I got it!" "What?" Shang Ying Yue was surprised. "Wait for the fun part!" Shi Yan disappeared like a cold lightning and glided in another direction. 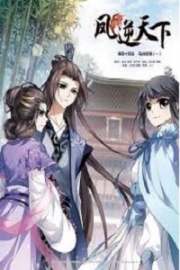 You're Read God Of Slaughter Chapter 1102: The General Situation Of The Sea Of Stars online at NovelOnlineFull.com. You can use the follow function to bookmark your favorite novel ( Only for registered users ). If you find any errors ( can't read,broken links, can't load photos, etc.. ), Please let us know so we can fix it as soon as possible. And when you start a conversation or debate about a certain topic with other people, please do not offend them just because you don't like their opinions. You're reading God Of Slaughter. This manga has been translated by Updating. Author(s): Ni Cang Tian,逆蒼天. Already has 1198 views. 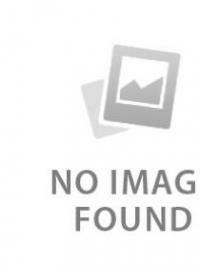 Current Time is 22-Apr-2019 04:41:04 AM.